Few foods have the power to transport us quite like Florida Orange Blossom Honey—one taste and our senses are on a journey through the orange grove. This varietal, light to medium amber in color, has a fresh scent and a gentle citrus taste. Follow the flavor and it takes you to a not-so-sweet but captivating finish, evoking a grove filled with bees and fresh citrus blossoms, and leaving you curious for what else lies in store. Orange Blossom Honey has a high count of large pollen grains, leading to rapid, grainy crystallization and a satisfying crunch. Orange Blossom’s light flavor and citrus character make it suitable for a wide range of uses. We like it in English Breakfast and Ceylon teas, where its fruity zest plays nicely off the boldness of the leaves. Try it also in lemonade for a refreshing summer drink. Honey and cheese? A match made in heaven, and Orange Blossom pairs particularly well with aged sheep's milk cheeses such as Manchego and Roncal. We recommend spreading it on toast and drizzling over yogurt and granola, and it works magic in all sorts of baked goods—from honey challah to pecan pie. Of course on some days, it's best as the temptress in our magic potion: Bee Raw's spin on the classic Cosmopolitan. The orange (Citrus sinensis), first cultivated more than 4,000 years ago in or near Southern China, hitched a ride to North America with Spanish travelers in the 15th century. Citrus trees have flourished here ever since. In 1909 the orange blossom was chosen as the state flower of Florida—no surprise there, as the state produces 74 percent of oranges grown in this country. Honey production largely revolves around Florida as well, but beekeepers also produce the orange blossom varietal in Southern California and parts of Texas. The white blossoms emit a strong fragrance, and have found use in perfumes and as a sign of good fortune in wedding festivities. Like all raw honey, Orange Blossom contains antioxidants and helpful trace elements and minerals, such as cobalt, copper, iodine, iron, magnesium and phosphorus. For centuries people have turned to raw honey for the topical treatment of minor wounds and burns, and as an antibacterial agent to promote overall health, and some believe it can boost the immune system. Orange Blossom is a go-to cough suppressant for many, and one that most children enjoy far more than store-bought cough syrups. 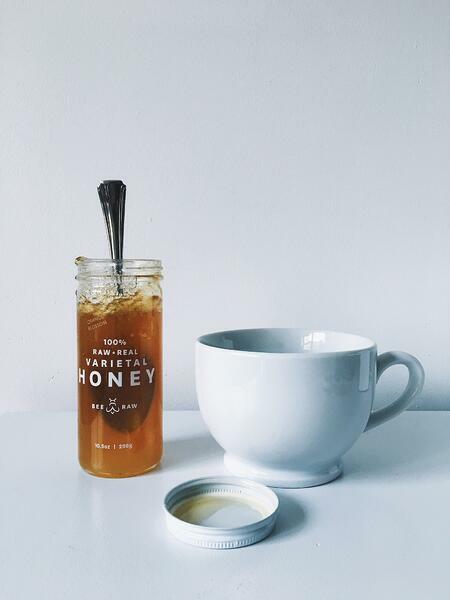 How do you use Orange Blossom Honey? Let us know in the comments!